Get to know Rob and his personal style in the News & Observer “Meet the Designer” article. Design Lines is mentioned as the interior designer on record. Porcelanosa highlighting how Design Lines utilizes their product for the Johnston County Airport project. Rob speaks with Stacy about our latest remodel project within Raleigh’s Historic Oakwood district. Brittany and Lauren speak to NC Design Online, North Carolina’s Interior Design Resource Guide, about their perspectives on designing with color. Recently, Brittany and Lauren gave a presentation on the “Principles and Elements of Interior Design” to a group of women at the Junior League of Raleigh. The blog post highlights the key take-aways. 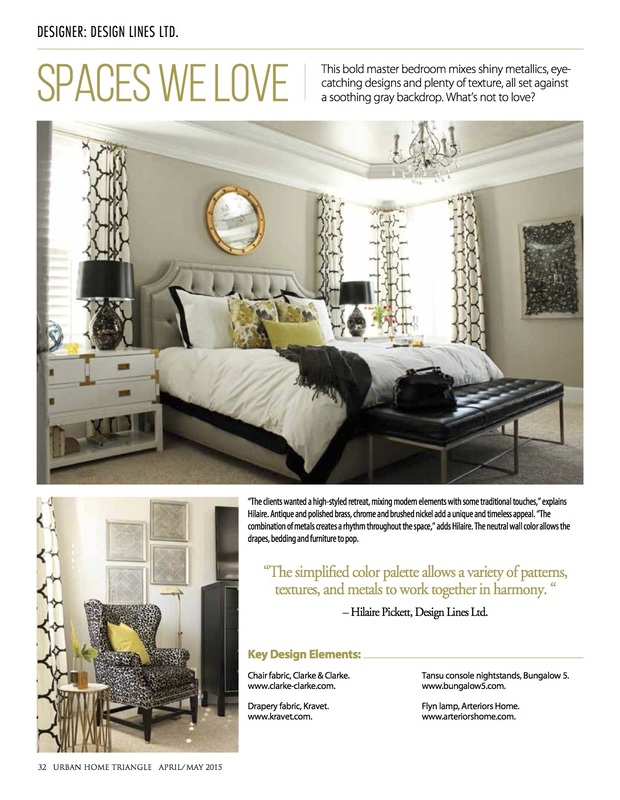 One of Brittany’s projects is featured within the article along with other interior designers from across the country. Rob mentions our latest project, Cary Endodontics and how we bring our knowledge and expertise for residential design to our commercial projects. On page 28, Lauren discusses the modern design for a Glenwood-Brooklyn neighborhood project.